Facebook's head of privacy, Lord Richard Allan, has revealed that hacking of users' Facebook accounts to scam them out of cash has become a 'major issue' for the social networking giant. Allan reveals that Facebook is developing new ways of countering the threat of hacked accounts and stolen identities. Lord Allan has detailed how Facebook is implementing new ways of detecting when a user's account has been compromised and is adding more warnings to users to let them know if and when their accounts are logged-into from different places or in different ways to how they are normally accessed. Allan said of the problem: "The latest thing you'll see that is a major issue is people hacking into accounts. Now, if you're logging in from an unusual location you'll get extra security questions and if you want to login by a new device [Facebook] notifies you by SMS or email." Facebook's "site integrity" project looks at new and better ways of tracking suspicious activity on the network, to ensure that user's accounts are secure. Ronald K Noble, secretary general of Interpol, recently revealed how his Facebook identity was being targeted by cybercriminals. Noble explained: "Just recently Interpol's information security incident response team discovered two Facebook profiles attempting to assume my identity as Interpol's secretary general. One of the impersonators was using this profile to obtain information on fugitives targeted during our recent Operation Infra Red." Facebook is now using "name verification" as one way of ensuring hackers cannot access accounts, by simply asking the user to identify a friend from their network from that friend's Facebook photo. "It is unfortunate that some people use the internet to maliciously target people either via scams or by compromising accounts on Facebook, over email or on fake websites," a Facebook spokeswoman said. "However, unlike other websites, or email, or even the phone, we provide our users with robust reporting tools to report any content they are unsure of and anything which violates our terms, will be removed quickly." 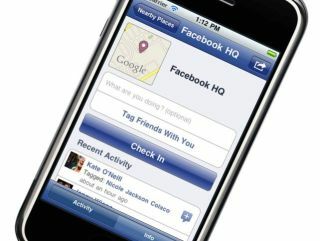 Facebook recently launched Facebook Places in the UK and has over 500 million users worldwide.